According to Radio Galega (h/t ElDesmarque), Aston Villa are in ‘advanced negotiations’ for Nemanja Radoja and a move is ‘imminent. Radoja has reportedly said ‘yes’ to Villa and is open to making the switch from Celta Vigo, but the two clubs still need to agree on a fee. The Serbian international will likely cost around £2.7m and will be Dean Smith’s second signing after Lovre Kalinic. Villa are believed to have beaten out a lot of clubs to procure Radoja’s signature. The 25-year-old has made 146 appearances for Celta since joining the club in 2014 from FK Vojvodina Novi Sad and was expected to leave the Balaídos this season due to his contract winding down. Radoja would be a free agent next summer, so Celta have opted to cash in on the midfielder in January. His arrival could mean Mile Jedinak moves back to Australia. The Serbian will also be a long-term replacement for Glenn Whelan and some competition for Birkir Bjarnason. 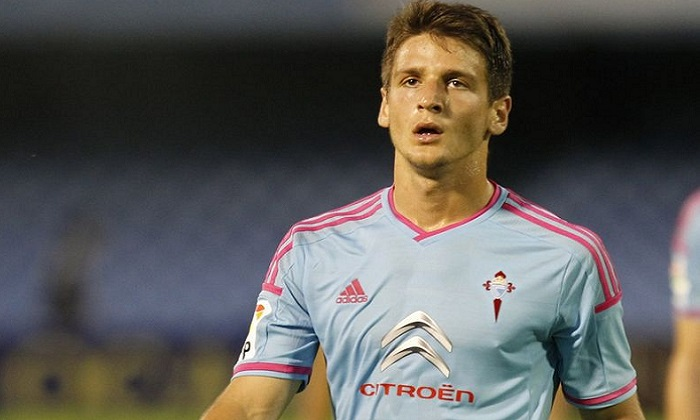 Radoja operates as a defensive-midfielder but hasn’t made an appearance for Celta this season. Nevertheless, he’ll bring some substance to the engine room and composure in possession.